India’s IT industry might be going through a mild downturn , but TCS has just received an early Christmas present. TCS has bagged an order worth $2.25 billion (Rs. 15,000 crore) from television rating firm Nielsen. The deal is reportedly the largest ever received by an Indian outsourcing firm. “TCS will globally provide Nielsen with professional services relating to information technology (including application development and maintenance), business process outsourcing, client service knowledge process outsourcing, management sciences, analytics, and financial planning,” the company told stock markets. Nielsen isn’t a new client of TCS’ — the companies have been collaborating since 2008, when the two companies had struck a $1.2 billion deal that spanned over 10 years. 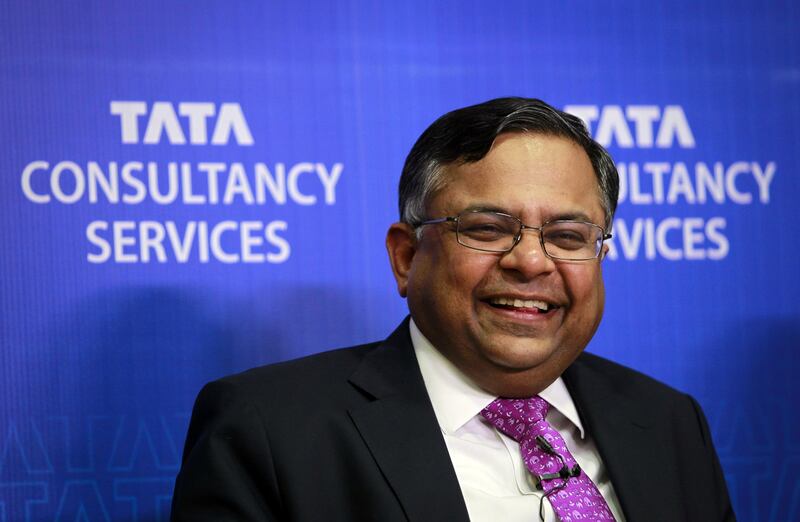 The latest deal however is even more lucrative, and assures TCS $320 million worth of revenue per year between 2017 and 2020. From 2021 to 2024, TCS will likely earn $186 million per year, and will earn $139.5 million in 2025. TCS’s stock immediately surged following the news, ending up 1.71% higher than its previous close. TCS’s stock has had a strong year, rising 15% since January. In comparison, Infosys has seen its stock rise 4.9% this year, while Wipro’s stock has outperformed them both, rising nearly 30% over the same period. India’s IT industry is going through a period of transition where it’s attempting to pick up higher valued projects instead of traditional IT outsourcing roles. Companies have been investing in newer areas like Artificial Intelligence and Machine learning, and looking to move up the value chain in the projects they pursue. There has also been an increased focus on automation of routine tasks. While this has made companies more efficient, it’s also meant that they’re not hiring engineers in the numbers they once did. But as TCS’s record Nielsen contract shows, traditional outsourcing deals are still enormously lucrative — and still alive and kicking.